Ryan Matthew Liestman (born September 25, 1982 in Minneapolis, Minnesota) is an American pop musician. He primarily uses his birth name but is also known as Yung-Ry, a title given to him by friend and musician Michael Bland. Shawn Connelly (keyboards). The Rule's music is a blend of pop, rock, and soul. 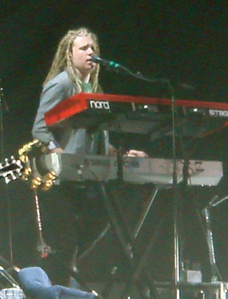 In the autumn of 2006, the band toured the United States with Grammy Award-winning singer Cyndi Lauper. Ryan is currently touring and performing with the Jonas Brothers, under Hollywood Records. He is a recent addition to the band and plays the keyboards and sings background vocals in the group.